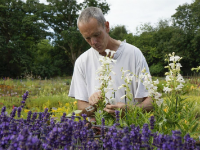 Whether you live in Lyndhurst or surrounding areas, you would know that some local gardeners seem to have all the luck when it comes to planting top notch, high quality, extremely memorable gardens. Don't think for a second that these great gardens came about by accident. Great gardens are never accidents. It takes the right kind of planning, attention to detail, constant experimentation, and an open mind to take any garden to the next level in appearance, ambiance, and overall quality. Having a green thumb is optional. What matters more is you have the right raw ingredients and plan to make your dream garden come true. At Everton Nurseries, we understand this fact. That's why we go out of our way to make sure you have everything you need to turn your dream garden ideas into a dazzling attention-grabbing fragrant reality. At Everton Nurseries, we make sure you get a wide selection of the bedding plants Lyndhurst gardeners and backyard landscaping enthusiasts use for maximum effect. We made sure you have a lot of different plant varieties to choose from so you can have a full 'palette' of colours and textures to flesh out distinctive backyard masterpieces, which can be the envy of gardeners in Lyndhurst and elsewhere. 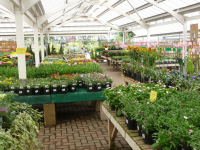 We also make sure you have the proper supplies to properly nourish bedding plants Lyndhurst gardeners cultivate for amazingly beautiful gardens. If you are serious about making your garden stand out, we have the equipment, supplies, and planting materials like bedding plants Lyndhurst gardeners consistently use for the best results. 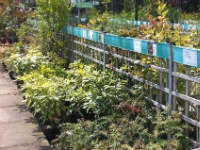 Come visit Everton Nurseries today and make your garden truly come alive.